Three Tacos in Soft Tortilla Shells with Lettuce, Tomatoes, Onions, Cheese, Salsa & Sour Cream! $6. We are offering an 8oz NY Strip, Dozen fried Shrimp and a Baked Potato all for $11.95! $1 off all craft drafts. Our signature, big juicy wings with your choice of our variety of signature sauces. $9 Dozen $5 Half dozen. 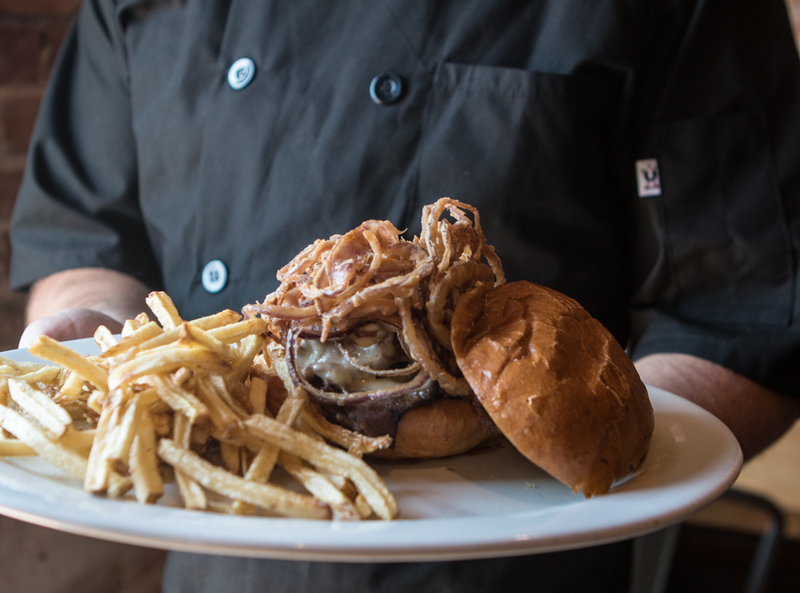 $2 off any of our famous burgers. Served with fresh cut fries.